I know today is technically supposed to be about pink but I couldn’t resist sharing a cute purple lipstick today too. Especially when it’s a bright purple with shimmer. Who can resist that? Not me! That’s why I didn’t even blink twice when I spotted Melted Metallic Violet at Ulta. I knew this beauty was coming home with me from the very beginning. Melted Metallic Violet is a bright violet with slight pink undertones, fine flecks of purple and orchid glitter and a sweet candy scent. It’s fun, feminine and playful–perfect for spring and summer. And the color is pretty unique too. I have a pretty intensive (and growing) purple lipstick collection but I don’t have anything quite like Melted Metallic Violet. 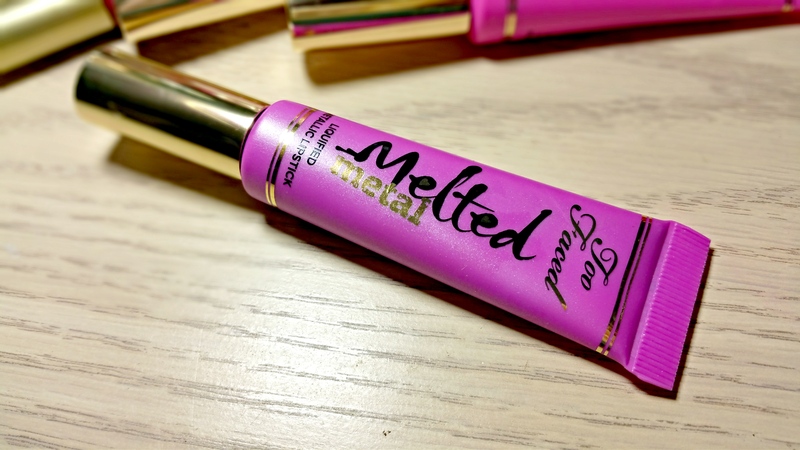 As I mentioned with Melted Metallic Jelly, the Melted Metal formula is similar but still quite different from the original Melted Lipsticks. 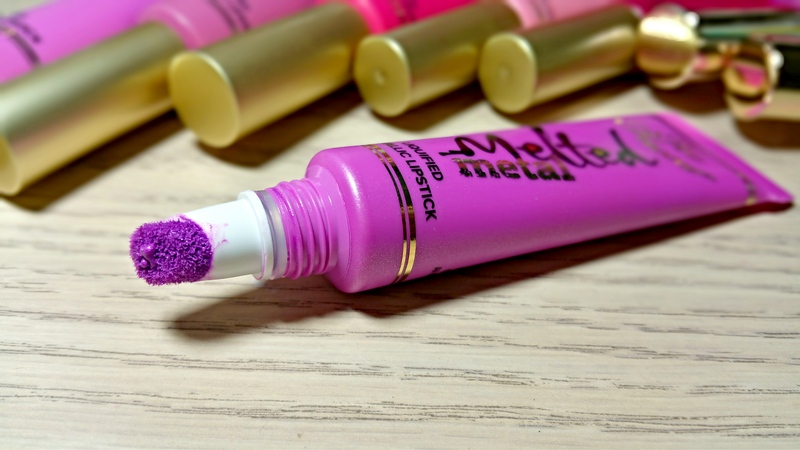 Melted Metallic Violet applies smoothly and mostly evenly with semi-opaque pigmentation, soft sheen and subtle metallic finish. 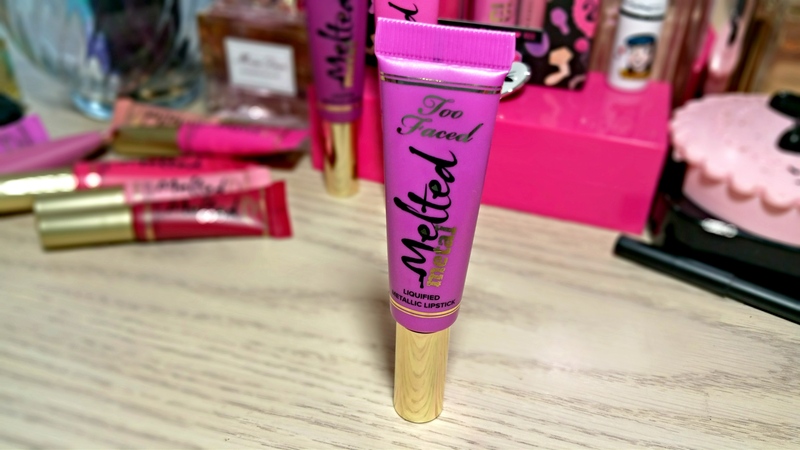 The texture is slightly thinner and more liquid-y compared to the original formula so it comes off more like a gloss than a liquid lipstick. Not to mention, the Melted Metal Lipsticks are a bit more sheer too. I only need one layer of Melted Violet for full intensity but I need 2-3 layers of Melted Metallic Violet to achieve the same look. The Melted Metal formula is still pretty good though! 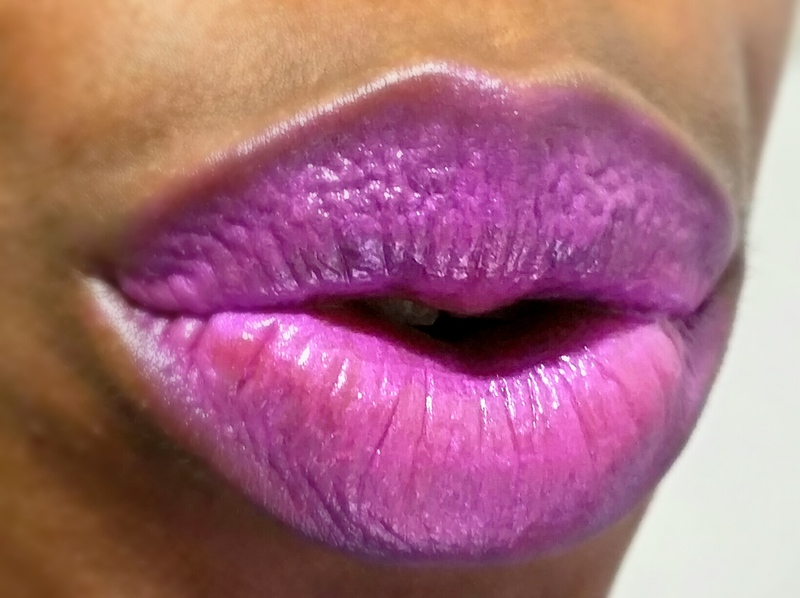 Melted Metallic Violet doesn’t emphasize flakes or settle into lip lines and it didn’t feel drying at all. The color wore for around 3 hours before fading into an even, intense violet stain. Overall, I like it! I wish it was more pigmented and little more long lasting but I doubt that’ll stop me from getting more lol. If the Too Melted Metal Lipsticks sound like your cup of tea you should check them out the next time you hit Sephora! I clicked on your link, and you have such a beautiful purple lippie collection! I’m going to be eyeing them for ideas on what to get next. 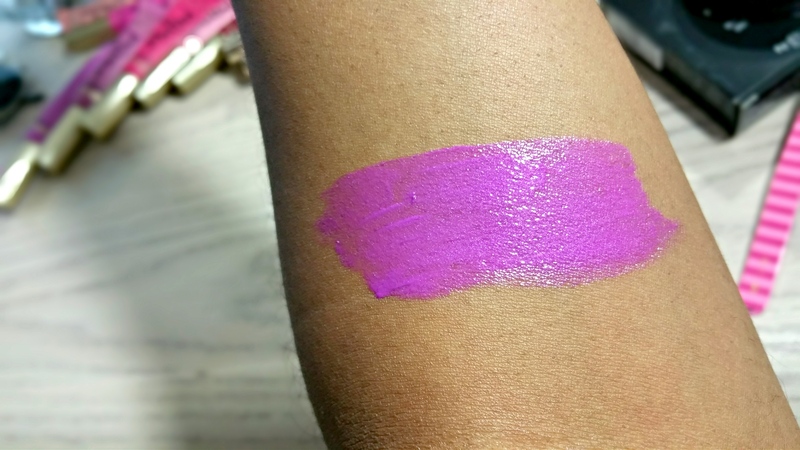 I have Metallic Violet and I’m so in love with the color and comfortable formula. I agree it’s so pretty, girly, and unique looking. Also versatile – you can go full on violet, or sheer it down with some lip balm, to make it more wearable for work. The originals are longer lasting but many were too matte or bright for me, but the metallics are reeling me in…. Thank you! I was a little nervous to try them after reading they were sheer but they work just fine for me. I love that they aren’t drying so I can wear them to work without issues. I kinda want another one! Pretty but I don’t see a metallic finish. Thanks for the thorough review.